“Fiocruz’s central commitment is to improve the health of the Brazilian population. In this process, everything that hurts these principles the institution must properly position itself against “. This is how the epidemiologist Mauricio Barreto, coordinator of the Center for Data Integration and Knowledge for Health (Cidacs / IGM / Fiocruz), believes that Fiocruz should behave. In order to reflect on Fiocruz’s role in a panorama with growing social inequality, the advance of climate change and social protection policies and the Unified Health System itself, Barreto presents the Seminar “Challenges for global health in the context of expansion inequalities and environmental and technological risks: reflections on Fiocruz of the future”. 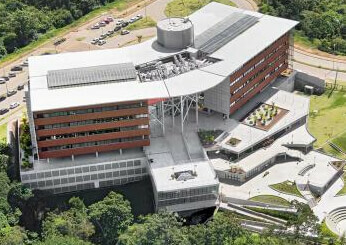 The event, organized by the Coordination of Prospecting Actions of the Presidency of Fiocruz, is the first preparatory meeting for the VIII Internal Congress of the Foundation and will be held on September 6, from 10:00 a.m. to 12:30 p.m., in the Auditorium Museum of Life, Campus Manguinhos. The coordinator of International Relations in Health (Cris), Paulo Buss, will mediate the event, which is also part of the Oswaldo Cruz Year celebrations. Check out this interview with the researcher about the role of Fiocruz in the Brazilian context, the importance of the positioning of institutions such as Fiocruz and the centrality of science to support public decision-making. The theme was born of a discussion about the need to talk a little about Fiocruz’s future. I mean, bring a health issue to talk a little about the Fiocruz institution in the future. As an epidemiologist, my reflection is centered on the idea that the health conditions of human populations are an immense reflection of the context in which they live and the historical trajectory. Based on this idea – and some recent elements, such as the process of neoliberalism and the expansion of social inequalities in the world and the emergence of a new series of diverse technological and environmental risks – I propose to think of Fiocruz as an institution of importance and characteristics can be thought of and designed for the future. Obviously, my reflections have a huge limit, since I think from the global health conditions and how the institution could be projected, but there are a number of political issues and institutional positions that need to be added in complementary analyzes. Considering that the major goal of a research and development institution in the field of health is to bring improvements to the health of the population, starting thinking about health problems can be useful in projecting the dilemmas, difficulties, and kind of institution has to play in the future of human society. The case of Brazil is special. It’s almost a human tragedy. After a period of expansion of the fields of science and technology and knowledge, which saw a more humanized and distributive society project, the process was abruptly interrupted at the beginning and what we see is a dantesque picture of regression. It shows an expansion of social inequalities and disengagement with all future policies. This is very serious insofar as a society like ours does not think in the future. It is part of economic and social policies to think about it. We stop thinking about the future to build a society based on precepts or maintaining the status quo, without thinking about how social and economic policies can benefit society. We hope this is transient, but of course this process enters into the equation. Fiocruz is an institution within this context and, of course, it is suffering. If this lasts, you will continue to suffer and find it difficult to project. As the moment has rapidly changed, the expectation is that there will be a new reversal. The history of Fiocruz itself is aligned with the historical period. The Manguinhos massacre, the retaliation during the military dictatorship, led to the re-democratization of the country. [Since 1985, the practices and the use of democratic instruments were institutionalized and the first president-elect, Sergio Arouca, said that “health is democracy and democracy is health, “helped in the Constitution of 1988. In short, it has always been aligned and exerting some influence in the political moment. What is the importance of a scientific institution such as this to position itself politically with scientific foundations? Is it too late? It is a complex question. Before positioning itself politically, one must position oneself with the ethical and social commitments, making positive changes for the society. Fiocruz’s central commitment is to improve the health of the Brazilian population. In this process, everything that hurts these principles the institution must properly oppose. The policy of an institution must uphold its principles and commitment to society. Political action is not the primary function of an institution, but its function is to uphold the fundamental principles and give society elements to promote reflection. Political decisions are made by society. 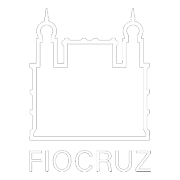 Fiocruz needs to have autonomy to position itself based on everything that jeopardizes its trajectory. When a health system that is already problematic is dismantled and regressions are visualized in the design of a single health system – and the signs are evident – it must be manifested. These decisions affect the commitment to the health of the Brazilian population. It is Fiocruz’s role, in this political sense of action, to act as an alter ego, to go ahead of society, defend and create arguments to show the risks, dangers and problems, as Fiocruz has been doing in more specific issues. Understanding the current situation and working with this understanding that there are risks and what changes they can bring to society is part of a project to defend society. It is not a partisan policy, but a manifestation of commitment to society. If, from the knowledge it generates, [the institution] identifies that there are risks to society, it must be demonstrated against.